In June of 1936, just one month after the publication of Margaret Mitchell’s Gone with the Wind, David O. Selznick of Selznick International Pictures spent a record-breaking $50,000 to purchase the film rights to the historical epic that every other major studio in Hollywood had turned down. Even before he bought the rights to make the novel into what would later become the highest-grossing film of all time, Selznick had hired director George Cukor to be the man in charge of bringing Mitchell’s vision to the screen. Cukor was well-equipped for the job of helming such an enormous picture, having previously established himself with such hits as Little Women (1933), Dinner at Eight (1933), and Camille (1936). He spent the next two years deeply immersed in the daily chores of pre-production on Wind, including supervising the rigorous screen tests of actresses vying for the role of perhaps cinema’s most influential character, Scarlett O’Hara. In the final weeks of 1938, Cukor dedicated hours of his time to coaching lead actresses Vivien Leigh and Olivia de Havilland in preparation for their roles. Filming finally began on January 26, 1939 – and three weeks later, George Cukor was unceremoniously dropped from the film, and replaced with Victor Fleming. What happened? Welcome to Garbo Laughs’ very first guest post! 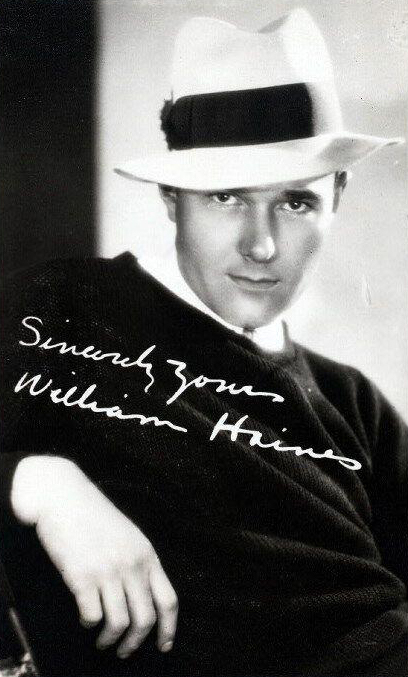 This smashing biography of the inimitable William Haines was graciously contributed by my friend Louis, who will soon be launching his own film blog Beautiful Bombs, intended to provide a second look at underknown and underrated films. Louis was also kind enough to provide all the gorgeous pictures included in the article, which can all be clicked to be enlarged. Enjoy! In 1930, William Haines was the number one box office draw in America. By 1933, his contract was dropped and he was unceremoniously given the boot by MGM studios. What horrible scandal could have provoked this? At that point, Billy Haines had been openly living with his lover Jimmie Shields for almost seven years. Given a choice between a career in the closet and a pink slip, Haines chose to be loyal to his partner and honest to himself, at the cost of his career. But Haines is much more than a footnote in gay film history. First of all, he’s gorgeous. Second of all, he’s funny, with a talent for physical humor, and a restless, irreverent wit. Third, he made a career out of pushing barriers and confounding expectations. And best of all, his story has a happy ending. Billy Haines always had a taste for the finer things in life. He found his hometown of Staunton, Virginia stifling, and by age 14, he and another teenager Billy described as “a boyfriend” ran away together to a nearby town where they found jobs at a factory, and opened up a dance hall (which may have doubled as a bordello) for the rowdy workers. The pair raked in profits until an accidental fire burned down the entire town. Billy left his boyfriend in Virginia and headed north for New York City. It wasn’t long after moving into Greenwich Village that the beautiful, witty twenty-year-old began to move in some very exclusive gay social circles. Billy admitted in a 1969 interview, “I was kept by the best men and women in New York City.” In between frequenting “pansy” bars, Haines worked as a model. 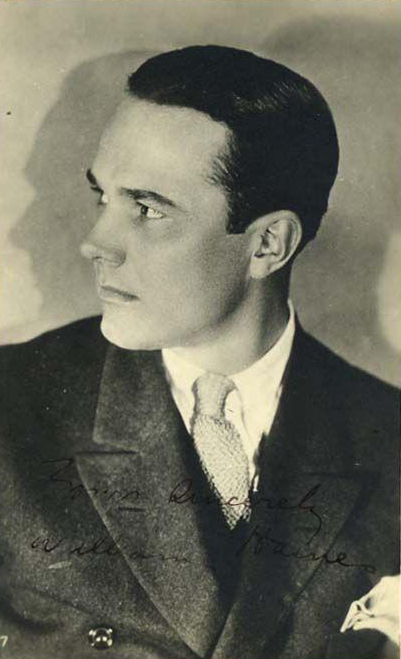 His agent submitted Billy’s picture for MGM’s 1921 “New Faces” Campaign, and within weeks William Haines was on his way to Hollywood to be groomed for stardom.